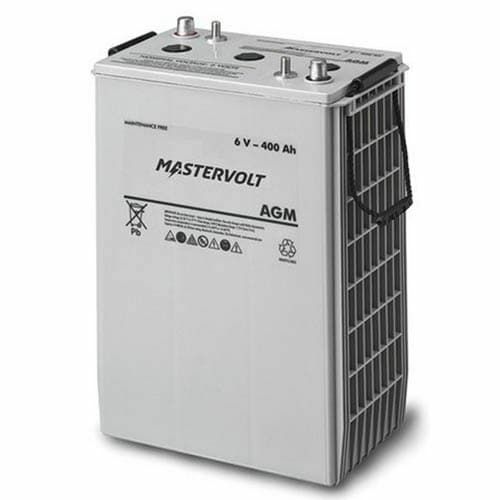 In AGM batteries the electrolyte (mixture of water and sulphuric acid) is largely absorbed in glass fibre. This type of battery is entirely maintenance-free and there is no gas formation with normal use. Not requiring any ventilation these batteries can be installed anywhere. Ideal solution for cyclic applications such as electric propulsion wheelchairs golf carts etc. Easy configuration of 12/24/48 V battery terminals with high capacity. Double pole for easy installation. No gas formation with normal use.